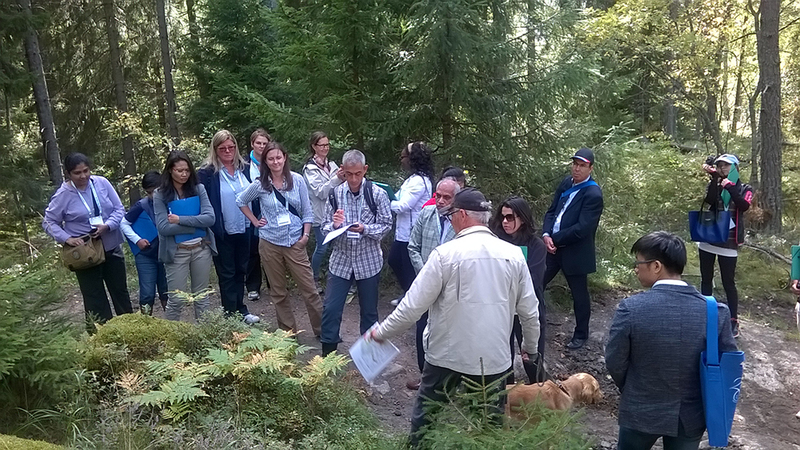 Water, forest and people: how can forestry secure water resources? 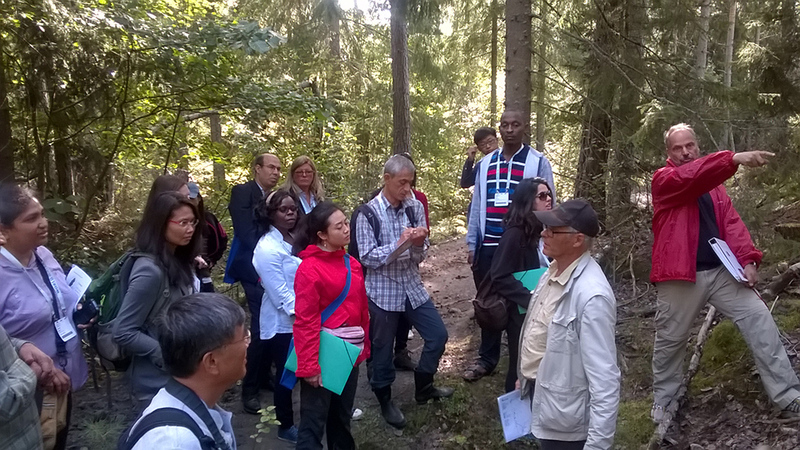 Forests cover more than 50% of Sweden and the successful development of the forest sector is a cornerstone in the development of the Swedish society. Today, even though Sweden has only about 1% of the world’s forest area and a cold climate limiting forest growth to some few summer-months, the Swedish export of sawn timber, pulp and paper represent 10% of the global trade. We will discuss key factors to maintain the forests capacity to provide freshwater to urban and rural societies, while keeping forestry highly productive. 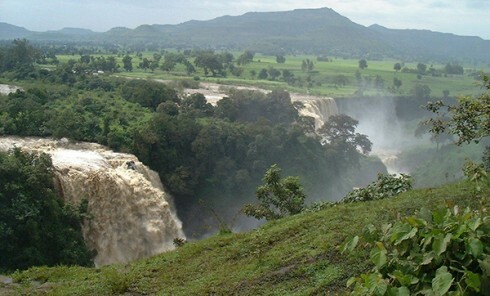 We will also look into the creek and get to know the small animals which live there, and try fishing with electricity. 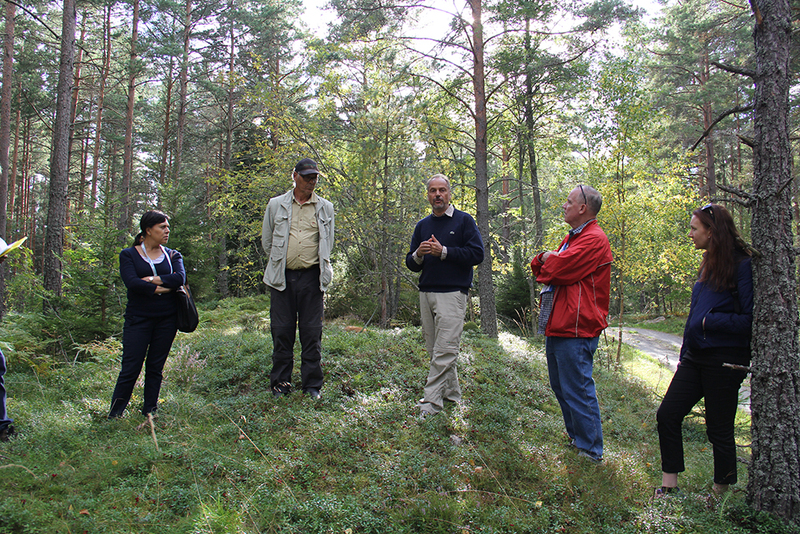 Finally we will meet a smallholder (small scale private forest owner – together managing more than 50% of the Swedish forests) and discuss his view on being a responsible forest owner and how he try to protect water and biodiversity in his day-to-day forest management. 13:30 Departure from central Stockholm. Lunch in the bus. Information and presentation about the clustergroup. Formation of two groups (Trout and Pike). 14:30 Arrival at the Gillmyra mill. 14:45-15:35 Group Trout walks to station 1 and 2. Group Pike walks to station 5 and 4. 15:35 Coffee break at station 3.